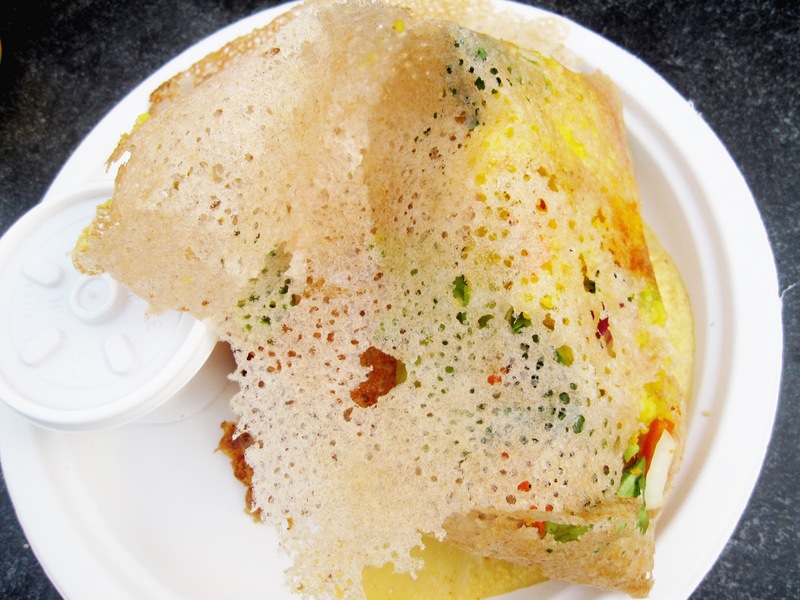 The NY Dosa cart on the south side of Washington Square Cart has been on our lunch list since practically forever, way before Thiru Kumar deservedly won a Vendy Award. For some reason though, it feels just this side of too far. But the strange warm weather had us in the mood for a healthy stroll and so we headed north to the long awaited dosa cart. We were a little nervous on the walk up, after all it had been on our covet list for so long, what if it were just not destined to be? What if it, shudder of horror, wasn't good?? But no such disappointments awaited us. Instead we sat in the park and each wolfed down a seriously delicious dosa. Seriously delicious.